A man is in custody after a possible road-rage incident led to the death of a New York City firefighter, law enforcement sources told ABC News. 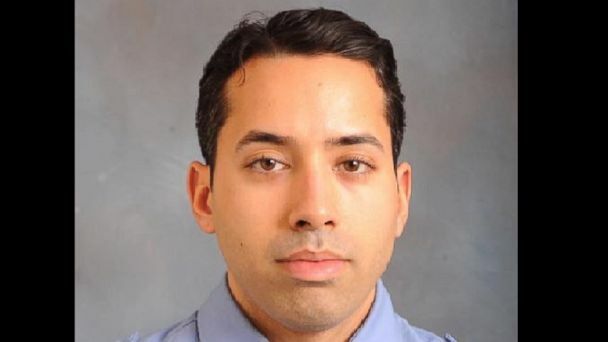 Faizal Coto, 33, of the New York Fire Department, was killed Sunday morning, police said. Coto's car collided with the suspect's silver Infiniti on the Belt Parkway just before 5 a.m. Sunday, police said. The cars pulled over and shortly after the suspect's car took off. The victim was found on the ground next to his car, unconscious and unresponsive with trauma to his face and head, police said. Coto was pronounced dead at Coney Island Hospital. Surveillance video from that night showed Coto, a three-year FDNY employee, pulling his 2008 Ford Mustang over to the right shoulder of the road in the Bath Beach area of Brooklyn. Another vehicle then pulled up next to him. Coto was found on the side of the Belt Parkway in Brooklyn around 5 a.m., suffering from blunt force trauma to the to head, police said. Joseph Desmond, the owner of the Infiniti involved in the incident, was arrested Monday by the U.S. Marshals in New Jersey, law enforcement sources told ABC News. No charges have been filed against Desmond, 29, in connection with Coto's death, sources said, though Coto's death was ruled a homicide, according to police. Authorities released images of the vehicle of interest, which they described as a gray or silver Infiniti G35. Desmond is being held in Middlesex County, New Jersey, on charges of being a fugitive from justice in New York, sources said. Meanwhile, firefighters gathered in Brooklyn Monday, donning protection gear and stiff salutes, to pay tribute to the fallen officer. Coto served in Brooklyn's Coney Island neighborhood.